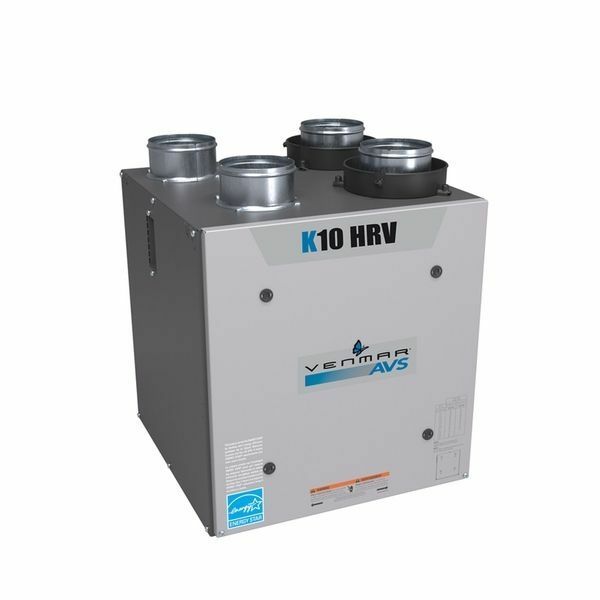 The K10 HRV is the ideal choice for condominiums, apartments and other limited space applications that require up to 90 CFM of continuous ventilation. With their compact size and 4-inch ports, they can be installed in small spaces such as a closet or mechanical room above a hot water tank. 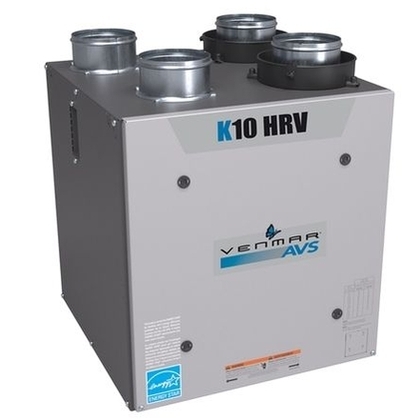 In addition to being Energy Star® qualified*, K10 HRV is specifically designed to fulfill all your residential ventilation needs and to meet the characteristics of an air exchanger in the efficient home programs. 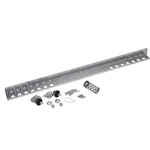 Available with top ports (44500) or side ports (44502).